Seems Indian Army Chief is also fond of reading fiction stories and imagination from his childhood; his fond has been now transferred to action movies of Bollywood. Perhaps that is why in the last years of his military life his conversation is also full of fiction. His interest towards fiction was expressed in his recent address to journalists while he was returning back from Srinagar. He said that Indian army has thwarted another Kargil like attack of Pakistan army. He was talking about the skirmish between Kashmiris Freedom Fighters (Mujahideen) and Indian army in Karan Sector since 24 September 2013. 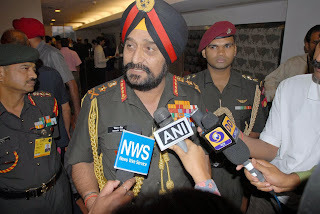 General Bikram Singh was of the view that it is impossible for terrorists to enter into Indian Occupied Kashmir (IOK) without support of Pakistan army and attack over Karan Sector was an attempt to create a Kargil like situation by Pakistan which has been thwarted by Indian army. Afterwards during his interview to NDTV he blamed Pakistan army and ISI for the interference and repeated his old stance that without support from Pakistan army how is it possible for terrorists to cross Line of Control (LoC). 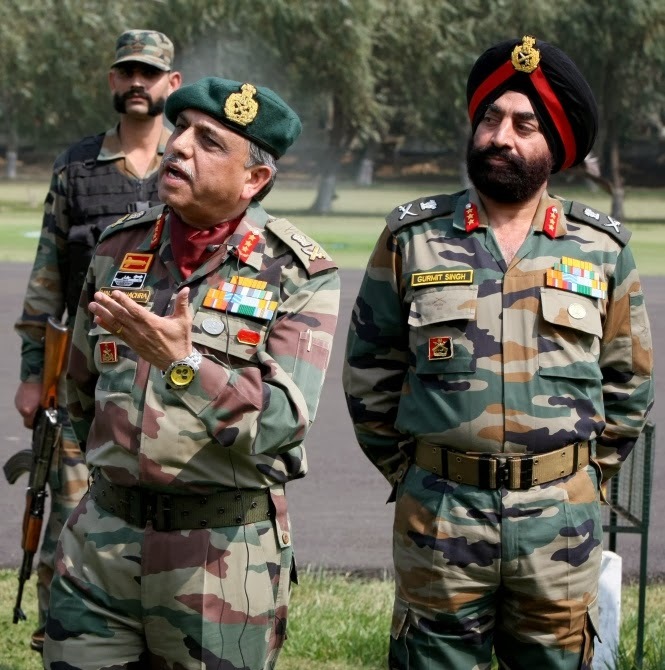 After departure of Indian Army Chief, Commander of 15 Corps Lt General Gourmat Singh addressed press conference and told the journalists that a letter has been recovered from the pocket of a militant killed in Karan Sector which shows that Pakistan army is itself involved in crossing LoC. The details of the letter told by the Indian Commander were that letter was written by Havaldar Muhammad Yousaf Chaudhary of 645 Unit to his brother Inayat in which he has requested help from his Kashmiri supporter Murid Malik. 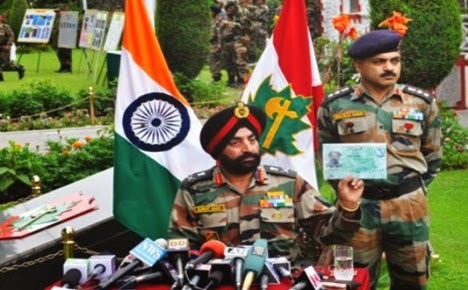 During the briefing a Pakistani ID card was shown after enlarging it and journalists were told that it has been recovered from the militants killed by Indian army. During the briefing many other slides were shown to the media as well; in one of the movies recorded from air, few human like figures were shown moving which were not identifiable; one human being was shown falling off a high cliff in river from the distance of miles and it was claimed that he was Pakistani militant killed by Indian army. Corpses of few uniformed soldiers were also shown entrapped into the barbed wires on LoC claimed as Pakistani soldiers however their faces were censored. Journalists demanded photocopy of letter and Pakistani ID Card recovered from the militants but Indian Commander said that these evidence would be handed over to media later on. Indian Foreign Ministry as a reaction on briefing by 15 Corps Commander said that Pakistan army was behind the infiltration of militants in Karan sector, in such a situation neither Pakistan should hope for improvement in situation nor negotiations, if Pakistan wants peace than Pakistan should stop anti-Indian activities. A dramatic and interesting twist to this fiction story was given on 9 October 2013 when GOC Northern Command Lt General Sanjio Chachra called a press conference. In his press conference he repeated mostly the same things as said by Indian Army Chief or Lt General Gourmat; however new disclosure made by him was that at least 9-10 freedom fighters have been killed by Indian army but their dead bodies have not been recovered yet; although storage of food and other eatables have been recovered during search operation in the area. When journalists enquired about the letter and Pakistani ID Card recovered from the dead bodies of militants, Lt General Sanjio said that dead bodies are lying on cliffs where Indian army has not been able to reach yet. In this way he denied as well as twisted the claim of recovery of ID Card and letter. Moreover, during press conference the writer of fiction of recovery of letter and ID card Indian Commander of 15 Corps Lt General Gourmat was also standing behind the GOC Northern Command but he remained silent. 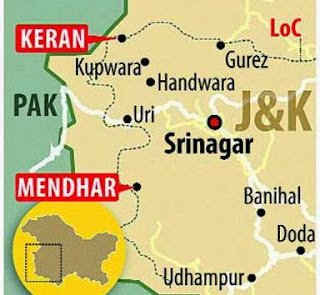 What is going on in Karan Sector; is Indian army really involved in any operation or not? Indian as well as international journalists present in Srinagar are at the horns of dilemma and whole story seems to be a fiction a drama. However, journalists have been unable to solve this mystery that what are the goals of Indian Army Chief to Corps Commander of Indian army behind this fictitious story. Why did Indian army claim that Pakistan army is behind the freedom fighters of Karan Sector; not only this Indian Army Chief claimed the credit of thwarting a Kargil like attack by ISI and Pakistan Army in Karan Sector while whole world ignorant of the war fought by Indian army in Karan Sector. Moreover, Indian army failed to remove the shortcomings and contradictions present in the fiction told to media from 26 September 2013 to 18 October 2013. In the beginning media was told that 30-40 freedom fighters or militants have been seen in the Karan Sector for which a search operation has been launched by Indian army. 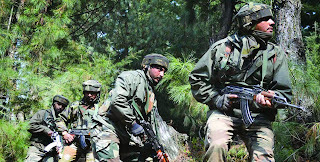 Afterwards media was told that Indian army is facing stiff resistance from infiltrators but Indian army would not spare any infiltrator or Pakistani agent. For approximately 10 days Indian army told media that fight is going in which few infiltrators have been killed; at last on 9 October spokesperson for Indian army told media that at least 20 infiltrators have been killed by Indian army out of which dead bodies of few infiltrators have been dragged by Pakistan army into Pakistani area while other who have been wounded probably crept into the river and it is not possible to recover their dead bodies however, 9-10 dead bodies have been trapped into bushes which Indian army is trying to recover. On this fictitious story of Indian army few Indian analysts raised the questions that Indian govt. 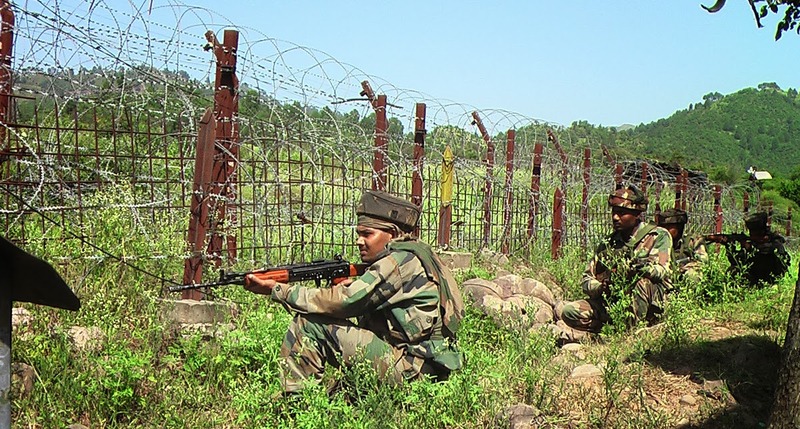 is spending lion’s share of the national budget snatched from Indian public in the form of heavy taxes over 700 kilometers long LoC where at least four high walls of barbed wire has been constructed; the gap between these walls have been filled up with roles of barbed wire as well, these walls have polls on every 20 yards fixed with high power search lights powerful enough to turn dark of night into daylight while half of the India even does not know the meaning of Electricity, the scene of these search lights could be even seen from space satellites and Indian army claims that 30-40 Pakistanis infiltrated into IOK from Karan Sector? How is it possible? Indian army has thousands of times claimed as well that due to the high voltage into these barbed wires even a rabbit or kitten cannot cross these Barbed wire walls than how a person wearing warm clothes to face the cold, carrying extra ammo, food supplies crossed these walls and Pakistan army also entered into Indian occupied area and succeeded in taking back the dead bodies? However, these are the questions raised by the Indian media on the fictitious day dreaming of Indian army and Chief as well which can be better answered by Indian army Chief fond of reading and fabricating such fiction stories (perhaps for Bollywood as well). Bitter reality is that during this fabrication of Karan Sector fiction story, despite of threatening statements by Indian PM, Foreign Minister and blames over Pakistan for armed interference our rulers showed the criminal silence while our traitor media was busy in injecting the venom of AMAN KI ASHA propaganda by India. Even the unprovoked firing by Indian army over LoC failed to break the silence of Pakistani govt. and media. At last the duty of elected govt. 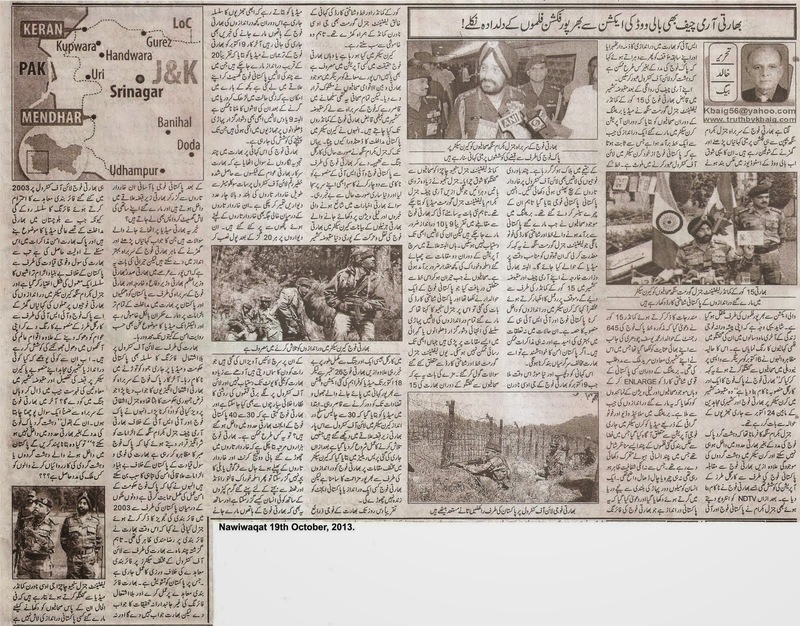 for reacting over Indian aggression and propaganda was fulfilled by Army Chief General Ashfaq Parvaiz Kiyani. Gen Kiyani declared Indian blames over ISI and Pak Army as attempt to push the situation towards war and said that Pakistan army is practicing patience but the baseless allegations by civil and military leadership of India could push the whole region towards destruction. Mentioning the ceasefire in 2003, Gen Kiyani said that Indians had agreed for ceasefire but from the last few months Indians are violating ceasefire on different sectors for which Pakistan has concerns. India should follow the ceasefire and allow impartial inquiries but neither India will allow impartial inquiries nor Indian army will abide by ceasefire of 2003 because since armed interference of Indian Army in Baluchistan has been highlighted over international media and it has been given top priority in Pak-India peace dialogues, the baseless allegations by Indian civil and military leadership and fictitious stories of encounters with ISI or Pak Army agents have become a routine to misguide international community and divert attention of international community from armed Indian interference in Baluchistan. Who the bloody fool infiltrator or Kashmiri Freedom Fighter would jump into the IOK to fight with Indian army with the list of his supporters in IOK or ID Card? In the end I would like to ask a question from Indian Army Chief that according to him Infiltrators could not enter into IOK without support from Pakistan Army than would he like to disclose that with the support of which country terrorists are infiltrating into Pakistan (Moreover, in today’s newspapers a news have been published that during the Eid days, Indian army started unprovoked firing over Bajwat, Chaprar, Sajeet Garh, Bajrah Garhi and Shakar Garh Sector as an attempt to infiltrate terrorists into Pakistan, this attempt was thwarted by Pakistan Rangers in which a rangers soldier was martyred)?